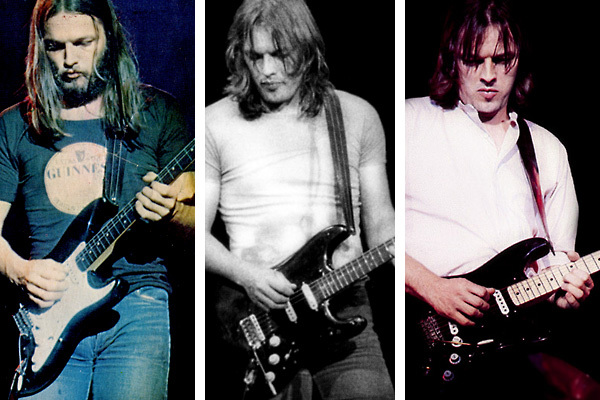 David Gilmour’s black Stratocaster is almost as legendary as the man himself. The guitar has been featured on some of the world’s biggest selling albums of all time and classic Pink Floyd songs like Money, Shine On You Crazy Diamond and Comfortably Numb. Now, some 40 years later, Fender has released a signature model and a whole generation guitar players are modifying their guitars for a similar look and sound. 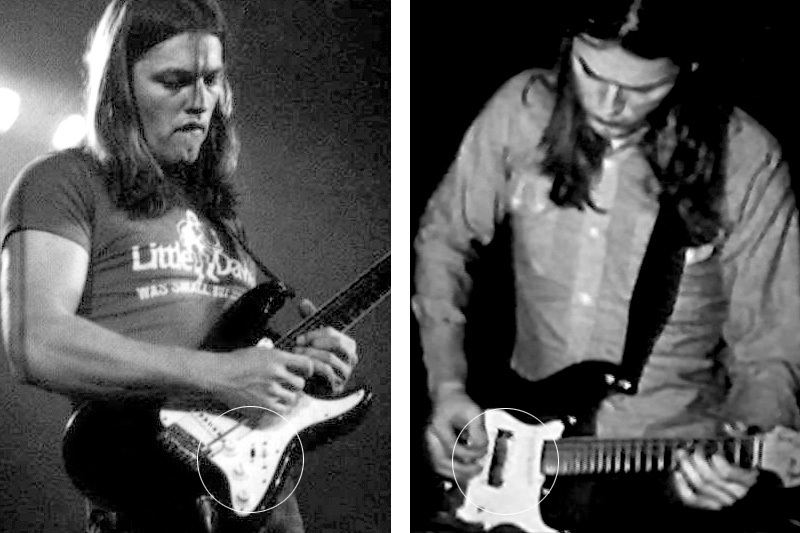 David bought the Black Strat at Manny’s guitar store in New York, USA in May 1970 during Pink Floyd’s North American tour. As fate would have it, David had just weeks earlier bough his first black Stratocaster at the same store but it was stolen along with the rest of Floyd’s rig. Being forced to cancel the rest of the tour David once again visited Manny’s on their way back home and the rest is pretty much history. The Black Strat made its debut performance at the Bath festival in June 1970. The guitar has gone through many changes over the years with different necks, pickups and custom features. Years changed though and by the mid 80s David had replaced all his guitars with Fender’s new line of 1957 reissues. The Black Strat was donated to Hard Rock Café were it was on display until 1997. In 2005 Pink Floyd reunited for a last time at the Live 8 show in London’s Hyde Park and the Black Strat made its triumphant return. It’s been David’s main guitar ever since. - Fender 1968-69 alder body with black finish painted over the original sunburst finish. - Fender late 60’s maple neck with large headstock and 21 frets. - Fender late 60’s single coil pickups. - Fender F-style tuning machines. - Fender synchronized tremolo bridge with normal size arm. - Fender 1969 alder body with black finish repainted over the original sunburst finish. - Fender 1983 ‘57 reissue C shape maple neck with maple 7.25″ radius fingerboard and 21 vintage style frets. - Fender/Gotho vintage style tuning machines. - 1-ply .120” beveled black acrylic, 11 hole pickguard. - Fender neck and middle pickups dated 1971 (installed the whole pickguard assembly from a ‘71 bullet truss rod Strat in June 1973) and a Seymour Duncan custom wound SSL-1C bridge pickup (installed late 1979). - Fender synchronized tremolo bridge (the original bridge re-fitted in 1997). - 5-way pickup selector (replacing the original 3-way in 1985). - Custom mini-toggle switch on the pickguard for neck/bridge combo. - Shortened tremolo arm to 4.25″. During Pink Floyd’s way back home to the UK after their rig got stolen during their North American tour David visits Manny’s in New York, USA and buys the Black Strat. The Black Strat makes its debut performance at the Bath festival in the UK in front over 200.000 people. 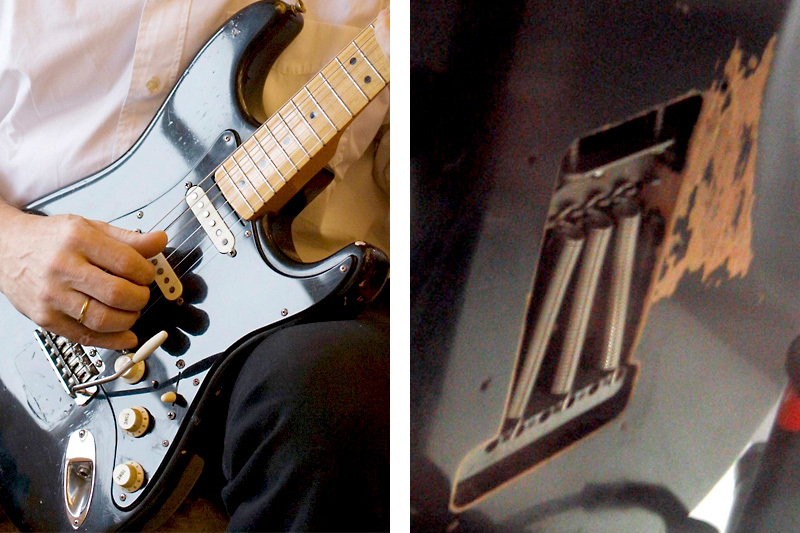 The Black Strat is featured on Pink Floyd’s legendary concert film Live at Pompeii. The original volume knob was replaced with a Telecaster type silver knob with a rubber band for easier action. This was taken off right after the filming in Pompeii, which resulted in a small continuity error during the “night” footage filmed in Paris, France in December 1971. - The Black Strat is indeed the one used on Live at Pompeii – here pictured at the second filming sessions in Paris, France, December 1971. David drills a hole in the side of the Strat to install an XLR input to eliminate noise from Fuzz Face. He soon removed the socket and sometime later filled the whole with wood and painted it black. Also at this time, the stock F tuners were replaced with Kluson tuners for better action. During the early months of 1972 David refitted the silver volume knob back on the guitar and installed a mini pickup switch similar to the current switch. Both the volume knob and switch was taken out later in the spring. The original maple neck is replaced by a Fender 1963 rosewood neck taken off a 1959 (body) sunburst Strat David had been using on/off since mid 1970. The Black Strat maple neck was now fitted onto the sunburst Strat. The rosewood neck is featured on Dark Side of the Moon, WYWH, Animals and David’s 1978 solo album (all albums and tours). By late summer the mini pickup toggle switch is reinstalled. 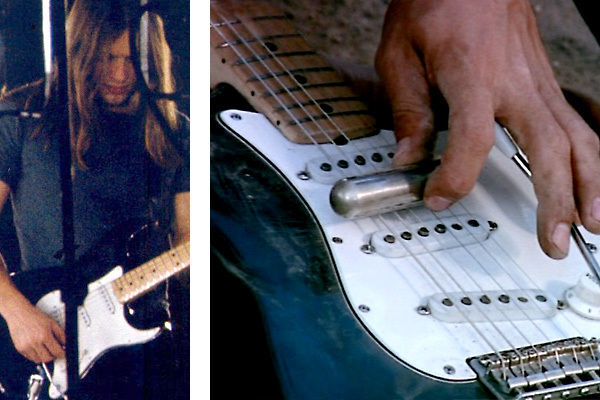 - (left) The Black Strat featured an early version of the mini toggle switch during the 1972 tour. (right) David pictured during the soundcheck for the Roland Petit ballett performance in Paris, France, January 1973. The Black Strat featured a humbucker for a very brief time in early 1973 but was soon taken out. At this point the guitar also featured the 1963 rosewood neck. The Black Strat is fitted with a Gibson PAF humbucker that’s placed between the bridge and middle pickups. A large portion of the body cavity is scooped out and the original pickguard is replaced by a customized S-S-H-S model (or the original was modified). The mini pickup selector switch now switched on/off the humbucker. David installs the whole bridge assembly from his 1971 bullet truss rod Strat now giving the Black Strat its original look and sound. The neck and middle pickups are still in the Strat today. The white pickguard is replaced by an 1-ply .120” beveled black acrylic, 11 hole pickguard, which is still on the guitar today. David installs a DiMarzio FS-1 bridge pickup with black cover. The pickup is featured on Animals (album and tour), David’s 1978 solo album and live promo clips and The Wall (album only). - (left) David pictured in Paris, France June 1974. This is the last performances with the white pickguard. (middle) The Black Strat during the Animals 1977 sporting the black pickguard and a DiMarzio FS1 bridge pickup. (right) The Black Strat during the 1980-81 Wall tour with the Duncan SSL1c bridge pickup and a new Charvel custom maple neck. The Fender 1963 rosewood neck is replaced by a custom Grover Jackson/Charvel maple neck customized with a Fender logo. The rosewood neck was fitted back onto the sunburst Strat and a new mini pickup toggle switch was also added, which is still in the Strat today. A custom wound Seymour Duncan SSL1C bridge pickup replaces the DiMarzio FS-1. The pickup is first used on the The Wall tour in 1980 and remains in the Strat today. The SSL1C is the forerunner to current SSL5. Just prior to the Final Cut recording session, the Black Strat was fitted with a new custom Charvel maple neck with 22 frets, Fender logo and Kluson tuners. The neck was also featured on About Face (album and tour). The original Fender tremolo system is replaced by a Kahler tremolo bridge with locking tuners. Its big size demanded that a piece of the body needed to be removed. The new tremolo system was first used on the About Face recording sessions in autumn 1983 and was also featured on the following 1984 tour. 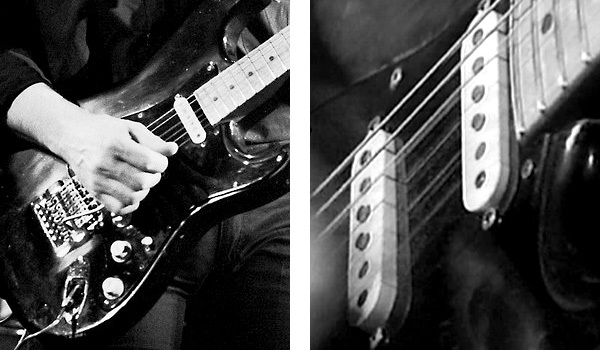 - Closeups of the Black Strat during the 1984 About Face tour. Notice the Kahler tremolo system and the shortened tremolo arm. David starts customize his tremolo arms to about 4.25″. The original 3-way pickup selector is replaced by a 5-way. The Black Strat is donated to Hard Rock Cafe where it’s on display in a restaurant in Dallas, Texas for over a decade. Upon request the guitar is sent back to David and Phil in May 1997 although in a poor condition with lots of wear marks and missing hardware. Guitar technician Charlie Chandler refitted the original Fender tremolo bridge and filled the whole from the Kahler system. A new ‘57 reissue maple neck replaced the Charvel. For the first time since 1984 David’s again using the Black Strat for the filming of the BBC documentary “Classic Albums – Dark Side of the Moon”. The guitar sports a ‘57 reissue maple neck with an “original body contour” decal on the headstock. 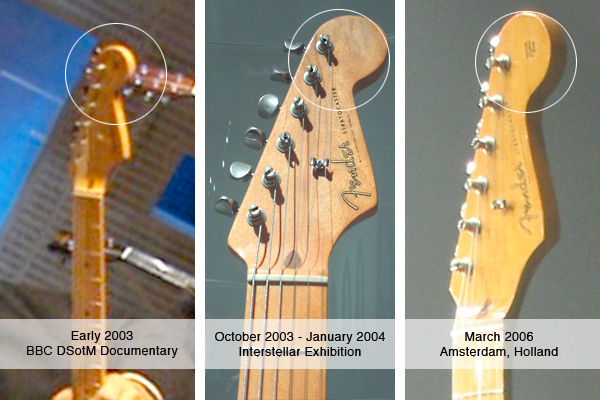 The Black Strat is featured in the Interstellar Exhibition in Paris, France – an exhibition displaying most of Pink Floyd’s gear from the days with Syd to PULSE. The Black Strat is on display with a second ‘57 reissue maple neck without the “original body contour” decal on the headstock seen on the 2003 Dark Side documentary. 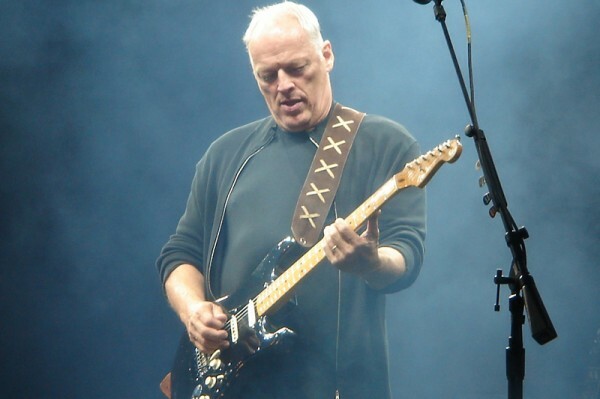 The Black Strat made its definitive triumphant return during Pink Floyd’s reunion at the Live 8 concert July 2. 2005. The guitar still featured the ‘57 reissue neck without the “original body contour” decal on the headstock. As faith would have it, David initially used the red Strat with the EMG pickups for the rehearsals but Phil Taylor insisted that he’d try the Black Strat again. This was the beginning of the second era for the guitar that later spawned Fender signature models and Phil’s book. Right after the Live 8 show the Black Strat once again gets a new neck – this time with the C-shaped maple neck from David’s cream coloured 1983 ‘57 reissue Strat used on the About Face tour 1984 and early Momentary tour 1987. This is new neck was featured on the latter part of the On an Island recording sessions and the 2006 tour and it’s now the current neck. - Closeups of the Black Strat during the 2005 On an Island recording sessions. The guitar has a lot of features that have been done over the years to improve the sound quality and to eliminate as much noise as possible, – The ground is re-wired to improve the shielding and a copper foil is covering the backside of the pickguard. 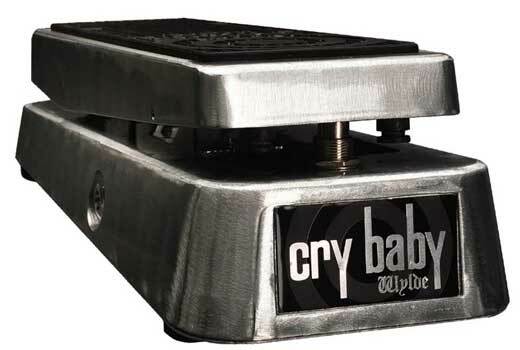 - The volume and tone knobs are connected directly to the output jack to cut down on bad connections. - To help the guitar stay in tune, the two outer screws on the bridge plate are tightened all the way down while the four middle screws are left just off the plate. David mostly use three springs for the tremolo. Atom Heart Mother (1970), Meddle (1971), Pink Floyd Live at Pompeii (1971), Obscured by Clouds (1972), Dark Side of the Moon (1973), Wish You Were Here (1975), Animals (1977), David Gilmour (1978), The Wall (1979), The Final Cut (1982), About Face (1984), David Gilmour Live at Hammersmith Odeon (1984), Live 8 (2005), On an Island (2006), Remember that Night (2006/07), Live in Gdansk (2006/08), Bryan Ferry, Olympia (2010), The Orb (2010). Some classic Gilmour for your reading music!